Value & RankThe Electricity production from coal sources of Denmark is 34.7 (% of total) with a global rank of 31. 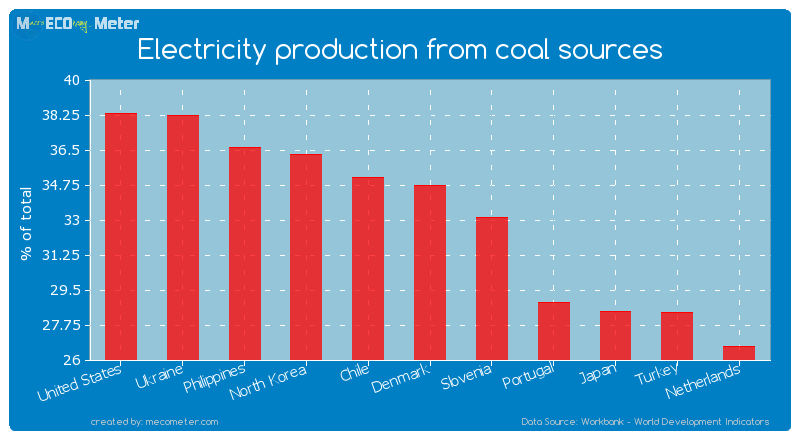 Denmark compared to other CountriesThe Electricity production from coal sources of Denmark is similar to that of United States, Ukraine, Philippines, North Korea, Chile, Slovenia, Portugal, Japan, Turkey, Netherlands with a respective Electricity production from coal sources of 38.3, 38.2, 36.6, 36.3, 35.1, 33.1, 28.9, 28.4, 28.4, 26.7 (% of total) and a global rank of 26, 27, 28, 29, 30, 32, 33, 34, 35, 36.10 years declineDenmark's Electricity production from coal sources had a negative growth (decline) of 25.4 (%) in the last 10 years from (2002 to 2012). Last 10 years averageDenmark had an average Electricity production from coal sources of 46.3 (% of total) in the last 10 years from (2002 to 2012). 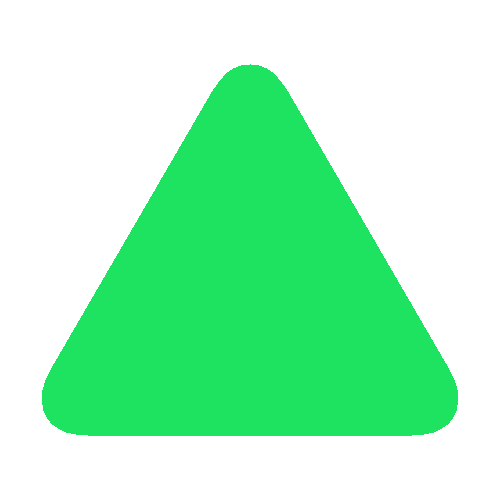 Value & RankThe Electricity production from hydroelectric sources of Denmark is 0.06 (% of total) with a global rank of 116. 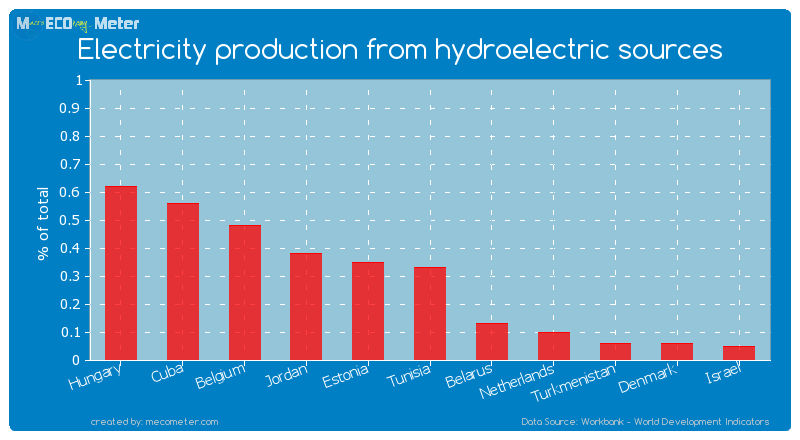 Denmark compared to other CountriesThe Electricity production from hydroelectric sources of Denmark is similar to that of Hungary, Cuba, Belgium, Jordan, Estonia, Tunisia, Belarus, Netherlands, Turkmenistan, Israel with a respective Electricity production from hydroelectric sources of 0.62, 0.56, 0.48, 0.38, 0.35, 0.33, 0.13, 0.10, 0.06, 0.05 (% of total) and a global rank of 107, 108, 109, 110, 111, 112, 113, 114, 115, 117.10 years declineDenmark's Electricity production from hydroelectric sources had a negative growth (decline) of 0.00 (%) in the last 10 years from (2002 to 2012). Last 10 years averageDenmark had an average Electricity production from hydroelectric sources of 0.08 (% of total) in the last 10 years from (2002 to 2012). 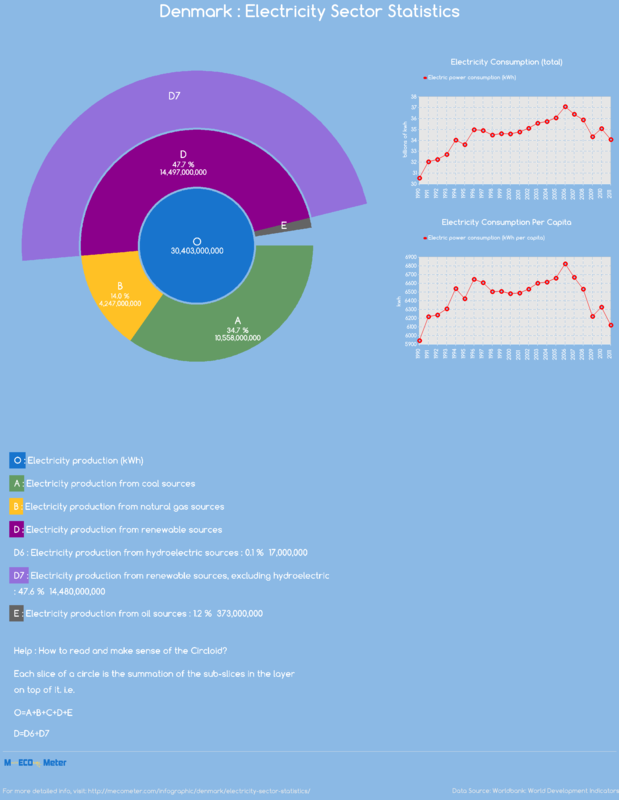 Value & RankThe Electricity production from natural gas sources of Denmark is 14.0 (% of total) with a global rank of 70. 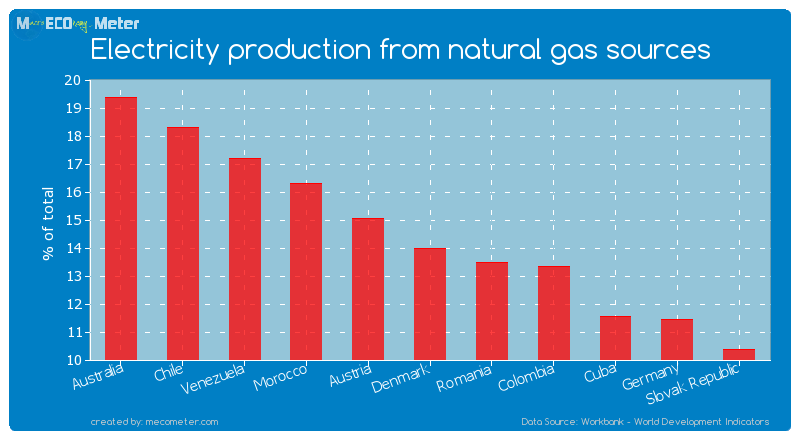 Denmark compared to other CountriesThe Electricity production from natural gas sources of Denmark is similar to that of Australia, Chile, Venezuela, Morocco, Austria, Romania, Colombia, Cuba, Germany, Slovak Republic with a respective Electricity production from natural gas sources of 19.4, 18.3, 17.2, 16.3, 15.0, 13.5, 13.4, 11.6, 11.5, 10.4 (% of total) and a global rank of 65, 66, 67, 68, 69, 71, 72, 73, 74, 75.10 years declineDenmark's Electricity production from natural gas sources had a negative growth (decline) of 42.6 (%) in the last 10 years from (2002 to 2012). Last 10 years averageDenmark had an average Electricity production from natural gas sources of 20.1 (% of total) in the last 10 years from (2002 to 2012). 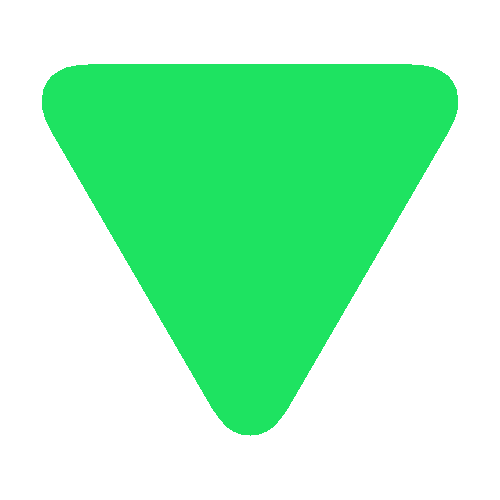 Value & RankThe Electricity production from oil sources of Denmark is 1.23 (% of total) with a global rank of 74. 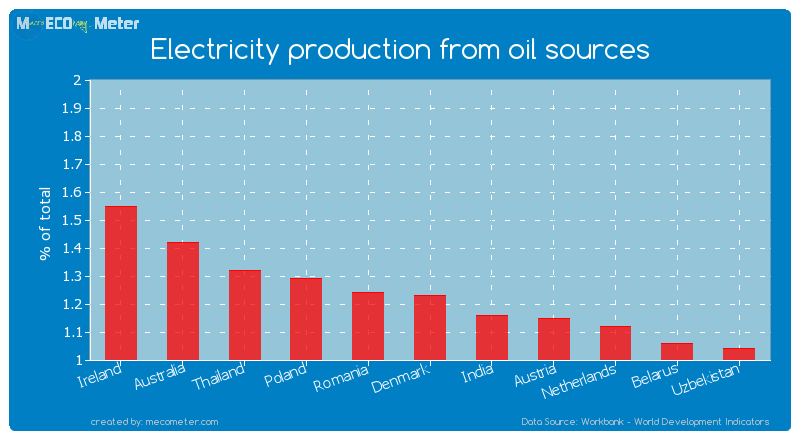 Denmark compared to other CountriesThe Electricity production from oil sources of Denmark is similar to that of Ireland, Australia, Thailand, Poland, Romania, India, Austria, Netherlands, Belarus, Uzbekistan with a respective Electricity production from oil sources of 1.55, 1.42, 1.32, 1.29, 1.24, 1.16, 1.15, 1.12, 1.06, 1.04 (% of total) and a global rank of 69, 70, 71, 72, 73, 75, 76, 77, 78, 79.10 years declineDenmark's Electricity production from oil sources had a negative growth (decline) of 67.6 (%) in the last 10 years from (2002 to 2012). Last 10 years averageDenmark had an average Electricity production from oil sources of 3.06 (% of total) in the last 10 years from (2002 to 2012). Value & RankThe Electricity production from renewable sources, excluding hydroel of Denmark is 47.6 (% of total) with a global rank of 1. 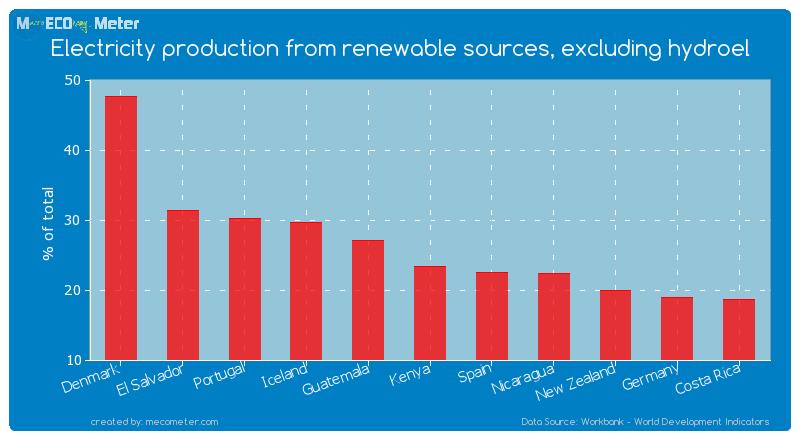 Denmark compared to other CountriesThe Electricity production from renewable sources, excluding hydroel of Denmark is similar to that of El Salvador, Portugal, Iceland, Guatemala, Kenya, Spain, Nicaragua, New Zealand, Germany, Costa Rica with a respective Electricity production from renewable sources, excluding hydroel of 31.3, 30.2, 29.7, 27.1, 23.3, 22.5, 22.4, 20.0, 18.9, 18.7 (% of total) and a global rank of 2, 3, 4, 5, 6, 7, 8, 9, 10, 11.10 years growthDenmark's Electricity production from renewable sources, excluding hydroel had a positive growth of 177 (%) in the last 10 years from (2002 to 2012). Last 10 years averageDenmark had an average Electricity production from renewable sources, excluding hydroel of 27.8 (% of total) in the last 10 years from (2002 to 2012).